Central Vermont @ Palmer, Ma. 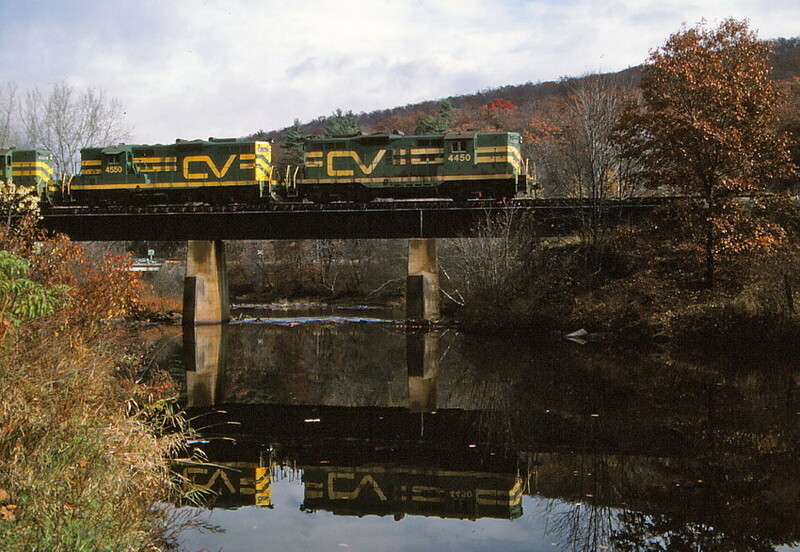 A south bound freight crosses the Quabaog River as it closes in on the town of Palmer. Photographed by Bruce Macdonald, October 28, 1986.